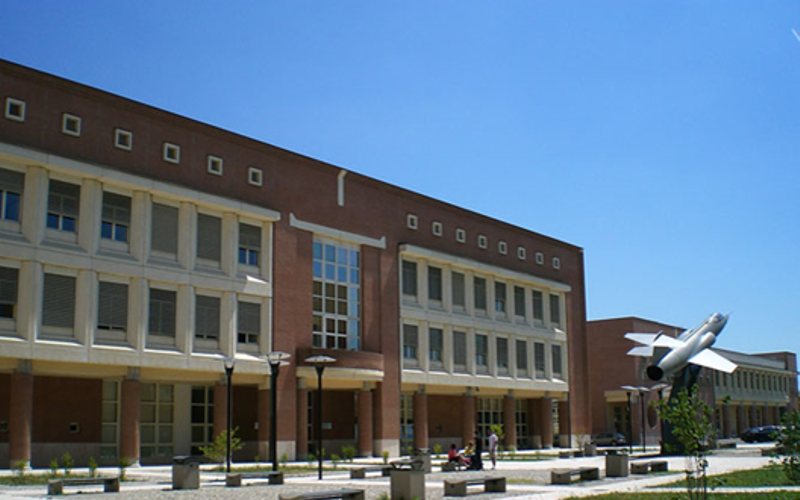 AImageLab is a research laboratory of the Dipartimento di Ingegneria "Enzo Ferrari" at the University of Modena and Reggio Emilia, Italy. 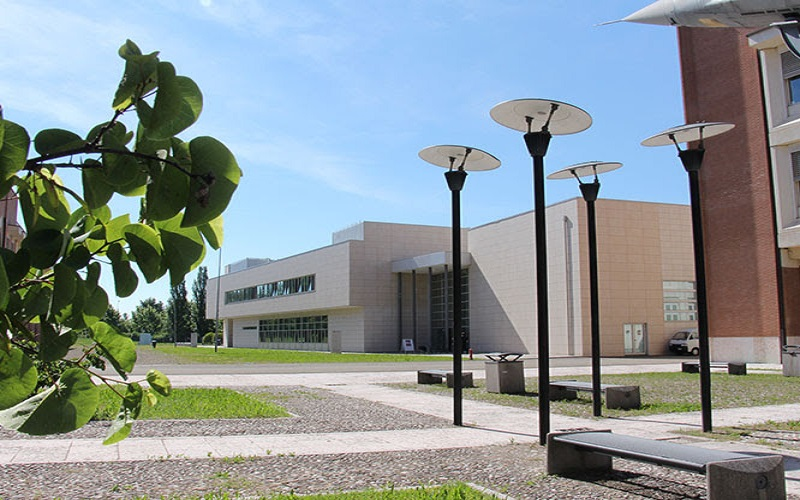 AImageLab is also a research unit of the Centro di Ricerca Interdipartimentale in ICT per le Imprese: Softech-ICT of the Modena Technopole. Research at AImageLab covers topics of Computer Vision, Pattern Recognition & Machine Learning, Artificial Intelligence, and Multimedia applied to optical images and videos as well as data from different sensors. In addition, AImageLab is currently involved in research activities on vision-based human-computer interaction. The main research projects concern: Video surveillance, Machine vision and robot vision, Medical imaging, Human-centered Multimedia, Content-based retrieval, People detection and tracking, Human behaviour understanding, Egocentric vision and Embedded sensors. As Director of the CINI Laboratory in "Artificial Intelligence and Intelligent Systems", Rita Cucchiara is giving an invited talk at the "AI and Future Society" workshop at Villa Wolkonsky in Rome. Slides are available. La tesi magistrale intitolata "Studio e sperimentazione di sistemi di visione artificiale per il monitoraggio del conducente​", sviluppata all'interno del laboratorio AImageLab, ha vinto il premio nazionale ANIA come migliore lavoro dell'area tecnico-ingegneristica riguardante il tema della sicurezza stradale, bissando il risultato del 2017. Autore della tesi è Elia Frigieri, relatore la Prof.ssa Rita Cucchiara, correlatori il Prof. Roberto Vezzani e il dott. Guido Borghi. La tesi si inserisce nel più ampio settore di ricerca riguardante l'utilizzo di algoritmi di Visione Artificiale e Deep Learning per il monitoraggio automatico del livello di attenzione del conducente durante l'attività di guida. We are glad to announce that the Master's Thesis "Studio e sperimentazione di sistemi di visione artificiale per il monitoraggio del conducente​" developed at AImageLab by Elia Frigieri, Rita Cucchiara, Roberto Vezzani and Guido Borghi has won the national contest about Road Security, promoted by ANIA Foundation. "Face-from-Depth for Head Pose Estimation on Depth Images"
has been accepted to be published in TRANSACTIONS ON PATTERN ANALYSIS AND MACHINE INTELLIGENCE (TPAMI) journal. Click here to read the preprint paper and here for further details. 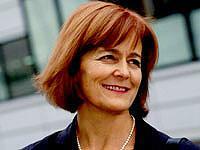 Rita Cucchiara gave an invited talk, "Artificial intelligence and Industry 4.0 a disruptive and necessary pair? 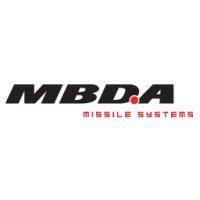 ", at MBDA. Slides from the talk are available. 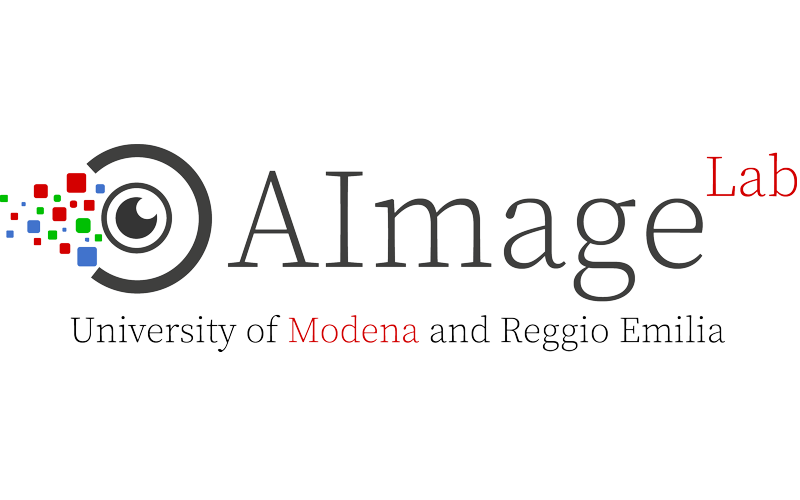 AImagelab is currently patenting an "Authentication System for Low-Light-Level Environments", in collaboration with the University of Modena and Reggio Emilia. 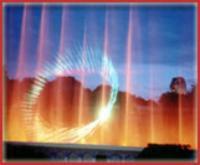 For a brief description and images please visit the project page. 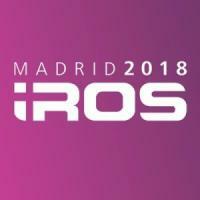 Rita Cucchiara gave an invited talk, "Computer Vision, AI and Robotics for Visual Intelligence", at the IEEE/RSJ International Conference on Intelligent Robots and Systems, IROS 2018, which was held in Madrid on October 1-5. Slides from talk are available. AImageLab ospiterà il “Terzo incontro all’Università sulla visione industriale”, organizzato da Editoriale Delfino Srl. L’incontro si terrà Giovedì 4 Ottobre 2018 presso il Dipartimento di Ingegneria Enzo Ferrari, dalle 9 alle 13, presso la sala Eventi del Tecnopolo, edificio 52. Agli studenti delle lauree triennali e magistrali in Ingegneria, per mettere in contatto i futuri ingegneri con i fornitori di una tecnologia, quella dei sistemi di visione, che avrà sempre di più impiego nella produzione industriale. 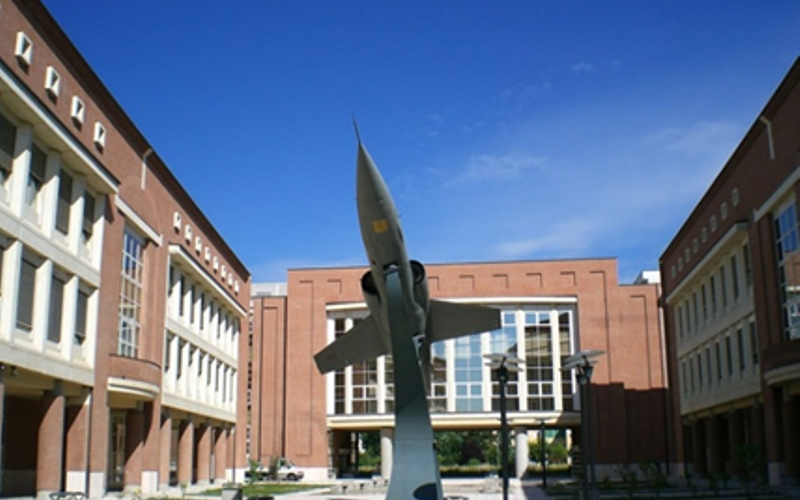 Dopo le presentazioni delle aziende intervenute, l’incontro prevede ampio spazio per un dibattito con gli studenti. L’evento è comunque aperto a chiunque volesse partecipare. Si richiede la registrazione mediante i link in calce. Slides of our presentations at ECCV 2018 Workshops are available. "What was Monet seeing while painting? Translating artworks to photo-realistic images"
"Visual-semantic alignment across domains using a semi-supervised approach"
Prof. Rita Cucchiara has been awarded the Maria Petrou Prize at ICPR 2018, held this year in Beijing. Her keynote talk, entitled "The space, the time and the people: a journey in Re-id, Tracking and Detection", is available. "Face Verification from Depth using Privileged Information"
has been accepted to BMVC 2018, that will take place from September 3rd to 6th in Newcastle, England. "Learning to Detect and Track Visible and Occluded Body Joints in a Virtual World"
has been accepted to ECCV 2018, that will take place from September 8th to 14th in Munich, Germany. Rita Cucchiara gave an invited talk, "People Tracking by their Pose: the JTA Dataset", at CVPR 2018, which was held at the Calvin L. Rampton Salt Palace Convention Center the week of June 18-22, 2018 in Salt Lake City, Utah. Per motivi organizzativi è richiesta l’iscrizione al seguente link. During the final meeting of the partnership between Aimagelab and University of Ferrara within the Città Educante project, Profs Evelina Lamma, Fabrizio Riguzzi and Riccardo Zese hold a seminar about Symbolic Learning an Logic programming. The slides of the seminar are available for downloading (Slide1, Slide2). 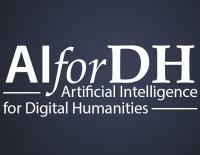 "L'intelligenza artificiale è (e) arte"
Lorenzo Baraldi gave an invited talk at the "Technological Innovation for Digital Humanities" workshop, held in Pavia on the 6th of March. "CultMedia: Deep Learning for automatic description of images and video in DH"
We are organising a Special Issue entitled "Depth Sensors and 3D Vision" on Sensors and we would like to invite you to contribute one article/review to this special issue. Deadline for manuscript submissions: 31 August 2018. "Computer Vision and Deep Learning: and they lived happily ever after"
"LAMV: Learning to align and match videos with kernelized temporal layers"
has been accepted to CVPR 2018, that will take place from June 18th to June 22nd in Salt Lake City, Utah. 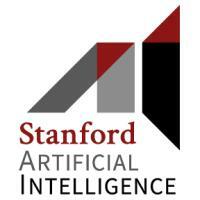 "Why is Deep Learning so cool?" che ospiterà un talk del Prof. Naftali Tishby, Hebrew University of Jerusalem, e l'assemblea straordinaria dell'Associazione. Ulteriori informazioni sono disponibili alla pagina dedicata all'evento. 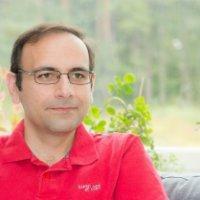 Dr. Hamed Rezazadegan Tavakoli, Postdoctoral Researcher at Aalto University (Finldand) will give a talk about his research activities on Tuedsay, 12 at 17 pm. The talk will take place in the meeting room of building MO-52. 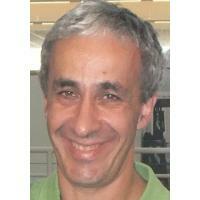 Dr. Hamed R. Tavakoli has investigated visual attention mechanism and saliency modeling along with their contribution to machine vision algorithms for different applications, including, fixation prediction, object detection and tracking, learning image features from image statistics and egocentric vision. 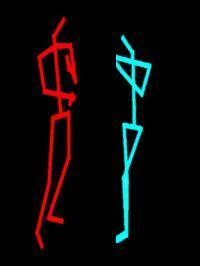 He has also researched inferences from eye movements as a medium that may reveal one’s mind. 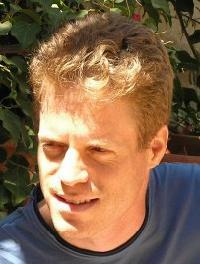 In hisresearch, machine learning techniques within the span of Bayesian approaches and neural methods, in specific deep learning, have been developed and employed. 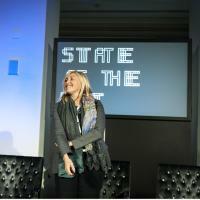 Rita Cucchiara gave an invited talk at TEDxModenaSalon on the future of visual intelligence. The recording of the talk is available on Youtube and on the video section of this website. AImageLab will give a talk at the "Deep Learning for scientific research" workshop organized by Intel and Cineca. Automatic Video analysis can reach terrific results in structural and semantic annotation of content, tagging, similarity search, saliency detection and textual captioning. We will describe results achieved in this fileds with specifically designed convolutional neural networks and recurrent networks such as LSTM, trained over very large datasets of broadcast video in sport, movies and culture. Venerdì 29 Settembre dalle ore 16 alle ore 17 presso la Sala Riunioni del Tecnopolo (Primo Piano) si terrà un seminario tenuto dal Prof. Simone Arcagni. "La scienza non ha nessun bisogno della filosofia per i suoi compiti. In compenso, quando un oggetto è scientificamente costruito con funzioni, per esempio una geometria spaziale, rimane cercare la filosofia che non è assolutamente attribuita alla funzione". Lo sguardo e la visione sono questioni che attengono tanto agli studi sui media, alla filosofia e agli studi culturali, quanto a quelli legati alla scienza e alle tecnologie. Questo seminario sarà un'introduzione alla logica culturale dello sguardo contemporaneo, agli aspetti culturali e alle relazioni sociali dell'occhio computazionale. Alcune storie di incontri tra studi scientifici e studi umanistici dimostrano come sia fondamentale per entrambi i campi scambiare punti di vista e modelli di analisi per poter affrontare le proprie ricerche con strumentazioni sempre più adatte al soggetto di studi. 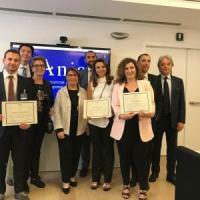 La tesi intitolata "Pose estimation tramite tecniche di deep learning per automotive", sviluppata all'interno del laboratorio ImageLab, ha vinto il premio nazionale ANIA come migliore lavoro dell'area tecnico-ingegneristica riguardante il tema della sicurezza stradale. Autore della tesi è Marco Venturelli, relatore la Prof.ssa Rita Cucchiara, correlatori il Prof. Roberto Vezzani e il dott. Guido Borghi. Tale premio era riservato alle tesi di laurea magistrali e triennali discusse tra il 1° novembre 2015 e il 31 marzo 2017, ed è nato con l’idea di investire e di creare un’interazione con i giovani laureati che abbiano trattato ed approfondito, ognuno nel proprio campo d’interesse, il tema della sicurezza stradale, dando nuovi ed interessanti spunti. Clicca qui per maggiori informazioni riguardo al progetto di ricerca. 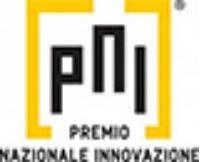 We are glad to announce that the Master's Thesis "Pose estimation tramite tecniche di deep learning per automotive" developed at ImageLab by Marco Venturelli, Rita Cucchiara, Roberto Vezzani and Guido Borghi has won the national contest about Road Security, promoted by ANIA. 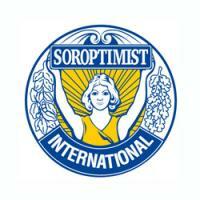 Click here for more info about the research project. Rita Cucchiara has given an invited talk to Stanford AI Lab on the 19 July, 2017. 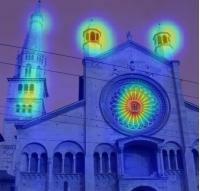 The latest saliency prediction model developed by Imagelab has ranked first in the LSUN 2017 saliency challenge. Our model integrates an LSTM-based attentive mechanism to iteratively attend and refine predictions at different locations. A variation of that model is currently under submission to a journal. You can download the preprint of the paper here. 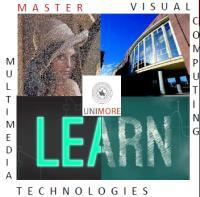 The second edition of a unique Master in Italy, with excellent career perspectives: advanced skills in Visual Computing, Computer Vision and Graphics, Machine Learning and AI. 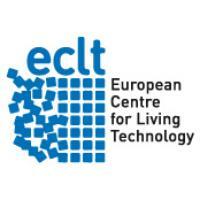 The Master is founded by MIUR and EC in Cluster Smart City and Communities. Alessandro Capra (Director of Dep. Engineering “Enzo Ferrari”) and Rita Cucchiara (Master Director) will open the event with their greetings. 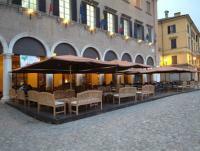 Two welcome speakers Giorgio de Mitri (Sartoria Comunicazione) and Pietro Altoé (NVIDIA) will participate to the happy hour. Visit event page for more details. Unimore Imagelab is attending at the "Intelligent Vehicles Symposium", one of the most important international conference about next smart vehicle generation that will be held at Redondo Beach, Los Angeles, California, from 11 to 14 June 2017. 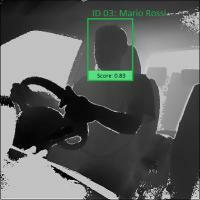 These works have been carried out within the project "FAR2015 - Monitoring the car driver’s attention with multisensory systems, computer vision and machine learning" funded by the University of Modena and Reggio Emilia. We also acknowledge the CINECA award under the ISCRA initiative, for the availability of high-performance computing resources and support. Giornata NVIDIA L'Intelligenza Artificiale incontra l'industria" Relazione invitata "Computer Vision for Industry in The Deep Learning Era"
have been accepted in IEEE Intelligent Vehicles Symposium (IV 2017). have been accepted in CVPR 2017, that will take place at the Hawaii Convention Center from July 21 to July 26, 2017 in Honolulu, Hawaii. In the meanwhile the e-version will be available, please take a look at the preliminar versions of the papers. "Visione artificiale: nuove applicazioni per il mondo della logistica integrata e scenari futuri"
MuMeT 2017 is an international Master of second level of the University of Modena and Reggio Emilia, co-sponsored by Italian MIUR (Ministero della Istruzione, Università e Ricerca) in the National Technology Clusters (project CittaEducante). MUMET II level Master wants to create new professional figures with advanced knowledge on the emerging technologies in visual computing, vision and machine learning, and intelligent multimedia systems. The Master homepage can be found here. Prof. Cucchiara presented a talk on "Visual Intelligence For Human And Machine" at STATE OF THE NET, Trieste 28-29 october 2016. 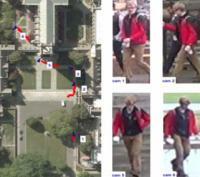 Multi-Camera Tracking is a canonical problem in computer vision which tries to determine "who is where" at all time across a large camera network. 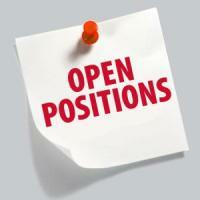 Typical applications include city-wide surveillance and airport/station monitoring. Dr. Ergys Ristani is a PhD candidate at Duke University, under the supervision of Prof. Carlo Tomasi. His research interest include Multi-Target Tracking, Multi-Camera Tracking, and the estimation and tracking of motion boundaries. To download the seminar flyer, please see: http://imagelab.ing.unimore.it/imagelab/uploadedFiles/seminario_ristani_18_10_2016.pdf. The Prejudice team of unimore composed by Imagelab memebers Andrea Palazzi, Simone Calderara and Rita Cucchiara has gained the attention of the scientific community with their recent work about "Spotting prejudice with nonverbal behaviours" presented at UBICOMP 2016. Check out our "Prejudice dataset" here. 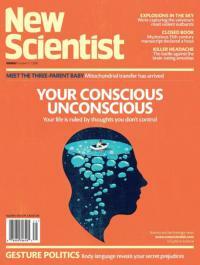 The international science magazine New Scientist, based in UK, talks about the ImageLab research about recognition of non-verbal behaviours in one of its cover articles. The link to the article for the online version of the science magazine can be found here: https://www.newscientist.com/article/mg23130933-200-camera-spots-your-hidden-prejudices-from-your-body-language/. OpenCV accepted our Connected Components Labeling algorithm into their official source code. From the next release, our contribution will be the official one, recognizing its superior performance. OpenCV (Open Source Computer Vision Library) is an open source computer vision and machine learning software library. OpenCV was built to provide a common infrastructure for computer vision applications and to accelerate the use of machine perception in the commercial products. The library has more than 2500 optimized algorithms, which includes a comprehensive set of both classic and state-of-the-art computer vision and machine learning algorithms. These algorithms can be used to detect and recognize faces, identify objects, classify human actions in videos, track camera movements, track moving objects, extract 3D models of objects, produce 3D point clouds from stereo cameras, stitch images together to produce a high resolution image of an entire scene, find similar images from an image database, remove red eyes from images taken using flash, follow eye movements, recognize scenery and establish markers to overlay it with augmented reality, etc. 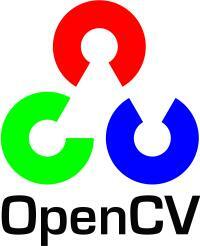 OpenCV has more than 47 thousand people of user community and estimated number of downloads exceeding 7 million. The library is used extensively in companies, research groups and by governmental bodies. 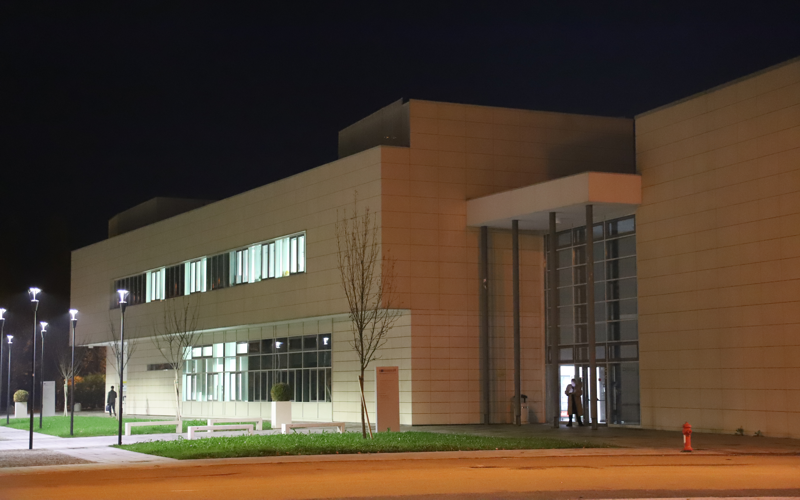 Facebook has selected Imagelab as one of the 15 world-class research labs in Europe to receive a GPU-based server as part of the Facebook AI Research Partnership. Our application has been selected from a large pool of universities and research institutes working on important and innovative research. Facebook is committed to building strong research partnerships with institutions throughout Europe, and ensuring that Facebook's partners have the necessary hardware and tools to continue tackling some of the most important challenges in the disciplines of artificial intelligence and machine learning. Thanks to Lorenzo Baraldi, Costantino Grana and Simone Calderara! Read more on the Facebook Research blog. 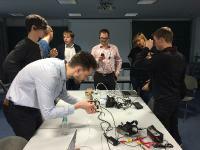 Here the report of the Seminar "Eyewear Computing - Augmenting the Human with Head-Mounted Wearable Assistants", 24–29 Januar 2016, Dagstuhl. Prof. Cucchiara presented a talk on "Human Motion Understanding" at the GIRPR - VISMAC2016 summer school. ImageLab is organising the First International Workshop on Egocentric Perception, Interaction and Computing (EPIC@ECCV16) that will be held on the October 8-10, 2016, in conjunction with the European Conference on Computer Vision, Amsterdam, The Netherlands. Its goal is to give an overview of the recent technologies and system solutions, create a forum to exchange ideas and address challenges emerging in this field. "Faces, deep learning and the pursuit of training data"
Abstract: The abilities of machines to detect and recognize faces improved remarkably over the last few years. This progress can at least partially be explained by the sizes of the training sets used to train deep learning models: huge numbers of face images downloaded and manually labeled. It is not clear, however, if the formidable task of collecting and labeling so many images is truly necessary. I will discuss the problems of data collection and describe a number of effective techniques for maximizing deep learning capabilities when collecting additional data is not an option. Importantly, though this talk will focus on face processing related tasks, these techniques can be applied in other image understanding problems where obtaining enough labeled examples for training deep learning systems is hard. Prof. Rita Cucchiara explains to the journalists of TV news TGR some of the last results obtained in the project Città Educante, in the context of exploting the new technologies to favour the acceptance of diversity in the primary schools. Rita Cucchiara's talk at Area Chair CVPR Workshop Vancouver 29 Feb 2015 can be downloaded here. The NVIDIA Hardware Grant, with the donation of one Tesla K40 GPU. The Italian Supercomputing Resource Allocation (ISCRA) Grant from CINECA, which gives Imagelab access to the Galileo HPC Platform, containg 16 Tesla K80 GPUs. The granted hardware will be mainly employed in the research project "Deep Learning in videos: concept detection and temporal video segmentation", as well as for other Imagelab activities. Josef Sivic ,Kyoung Mu Lee ,Kyros Kutulakos ,Martial Hebert ,Rita Cucchiara ,Ruzena Bajcsy, Stan Sclaroff, Sven Dickinson, and Philip Torr. "Metodi, ambienti IDE, architetture e tecnologie per la progettazione dei sistemi digitali embedded". Abstract: Il seminario intende focalizzarsi, con riferimento a specifici domini applicativi quali quelli dell’automotive dell’aerospazio e del ferroviario, sulla progettazione dei sistemi digitali embedded ad elevata complessità e assoggettati a vincoli di sicurezza, affidabilità, real-time e time to market e, in particolare, sugli aspetti delle differenti soluzioni oggi consentite dalle correnti tecnologie VLSI inquadrate in vari contesti architetturali dedicati (sistemi dedicati, general purpose e misti realizzati su FPGA, SoC e MPSoC ) e sulle metodologie di sviluppo a supporto. Mercoledì 25 e Giovedì 26 Novembre ImageLab/Softech-ICT ospiterà l'evento "Vision for cultural heritage", nell'ambito del progetto Dicet. 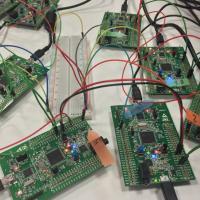 ImageLab is organising the first International Workshop on Wearable and Ego-vision Systems for Augmented Experience (WEsAX) that will be held on the July 3, 2015, in conjunction with the IEEE International Conference on Multimedia and Expo (ICME), Turin, Italy. The goal of the first International Workshop on Wearable and Ego-vision Systems for Augmented Experience (WEsAX) is to give an overview of the recent technologies and system solutions, create a forum to exchange ideas and address challenges emerging in this field. Alessio Bazzica received the M.S. degree in Computer Engineering from the University of Florence (Italy) in 2012 and is now a 3nd year PhD candidate at the Multimedia Computing (MMC) Group in Delft (The Netherlands). He is interested in multimedia information retrieval and he is currently working on multimodal and crossmodal approaches for music information retrieval. Al via il nuovo Master MUMET. Il master vuole creare nuove figure professionali (MULTIMEDIA DATA SCIENTIST), con competenze avanzate sulle tecnologie informatiche multimediali e sul visualcomputing, competenze attualmente molto rare ed assai richieste per i sistemi, servizi ed applicazioni nelle smartcities and communities. Sito web del Master in "Visual Computing and Multimedia technologies"
Il progetto Città Educante ha lo scopo di ripensare radicalmente l'ambiente di apprendimento, attraverso l'applicazione delle più avanzate tecnologie informatiche. 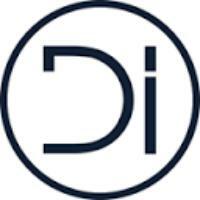 Il workshop, ad invito e a partecipazione libera, ha come obiettivo lo scambio di idee e la disseminazione delle attività svolte dai partners durante il primo anno di progetto. 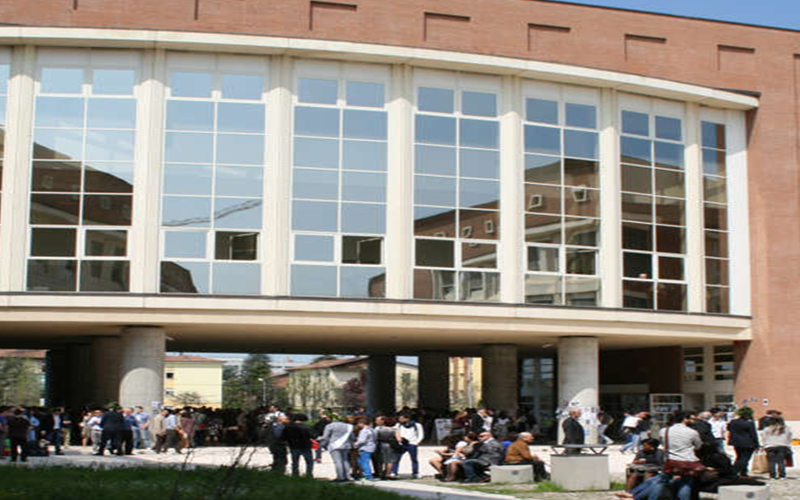 L'evento che si inserisce tra la manifestazioni per i 25 anni di Ingegneria a Modena si svolgerà lunedì 20 aprile 2015, ore 10:00, presso l'aula P 0.5 (FA-0-D), del Dipartimento di Ingegneria "Enzo Ferrari". Sito web del workshop "New Ideas for Education in Smart Communities"
Our paper "Socially Constrained Structural Learning for Groups Detection in Crowd " have been accepted in TPAMI. In the meanwhile the e-version will be available, please take a look at our dataset and code and for more details the preliminar version of the paper. The rapid progress in the development of low-level component technologies such as wearable cameras, wearable sensors, wearable displays and wearable computers is making it possible to augment everyday living. 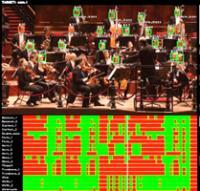 Wearable and egocentric vision systems can be exploited to analyze multi-modal data types (e.g. video, audio, motion) and to support understanding human interactions with the world (including gesture recognition, action recognition, social interaction recognition). Based on the processing of such data, wearable systems can be used to enhance our capabilities and augment our perception. State-of-the-art techniques for wearable sensing can support assistive technologies and advanced perception. This special issue intends to highlight research in support for human performance through egocentric sensing . 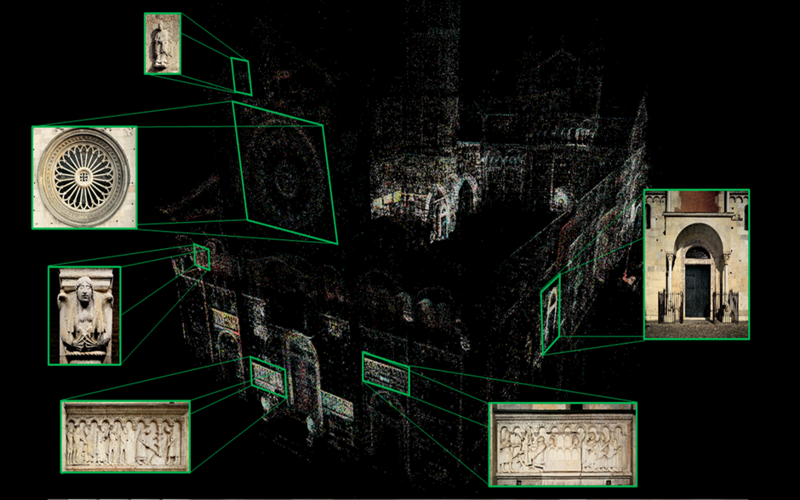 The paper “ Wearable Vision for Retrieving Architectural Details in Augmented Tourist Experiences ” by Stefano Alletto, Davide Abati, Giuseppe Serra and Rita Cucchiara was awarded the best paper award at INTETAIN in Turin. In this paper we propose an egocentric vision system to enhance tourists’ cultural heritage experience. 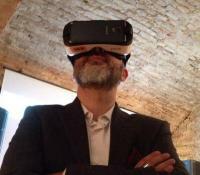 Exploiting a wearable board and a glass-mounted camera, the visitor can retrieve architectural details of the historical building he is observing and receive related multimedia contents. To obtain an effective retrieval procedure we propose a visual descriptor based on the covariance of local features. Differently than the common Bag of Words approaches our feature vector does not rely on a generated visual vocabulary, removing the dependence from a specific dataset and obtaining a reduction of the computational cost. 3D modeling is used to achieve a precise visitor’s localization that allows browsing visible relevant details that the user may otherwise miss. Experimental results conducted on a publicly available cultural heritage dataset show that the proposed feature descriptor outperforms Bag of Words techniques. Lunedì 17 Novembre 2014 dalle 14.00 alle 16.15 presso l'Aula P0.4 (ex FA-0C) - dipartimento DIEF - si terrà un seminario sulle architetture parallele GPU Nvidia. 14:00-15:00: Edmondo Orlotti, Business Development NVIDIA "Tecnologie per il calcolo parallelo e la visualizzazione, dal cloud al mobile"
Slides: Parte 1, Parte 2, Parte 3. The eighth edition of the ACM/IEEE International Conference on Distributed Smart Cameras (ICDSC) will be held in Venezia, ITALY. Prof. Cucchiara is presenting a talk on "Computer Vision for interactive experiences with art and artistic documents" at the ECCV workshop "Where Computer Vision Meets Art - VISART2014. The 2nd International Workshop on Multimedia for Cultural Heritage, will be held on the 9-10th of September 2013, in conjunction with the 17th International Conference on Image Analysis and Processing (ICIAP), Naples, Italy, aims to be a profitable informal working day to discuss together hot topics in multimedia applied to cultural heritage. This short 3-day school is meant to provide a self-contained comprehensive introduction to modern video surveillance methods and techniques, with a good balance between theory and practical applications. This school is open to researchers, PhD and undergraduate students, scholars in the field of surveillance and security, and is conceived also for technicians from both industries and public entities. 3DPeS (3D People Surveillance Dataset) is a new surveillance dataset, designed mainly for people re-identification in multi camera systems with non-overlapped field of views, but also applicable to many other tasks, such as people detection, tracking, action analysis and trajectory analysis. This school is open to PhD and undergraduate students, scholars in the field of surveillance and security, and is conceived also for technicians from both industries and public entities. With the proliferation of multimedia data on the web, surveillance cameras in cities, and mobile phones in everyday life we see an enormous growth in multimedia data that needs to be analyzed by forensic investigators. The sheer volume of such datasets makes manual inspection of all data impossible. Tools are needed to support the investigator in their quest for relevant clues and evidence and in their strive towards preventing crime. 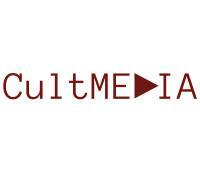 The multimedia community has developed new solutions for management of large collections of video footage, images, audio and other multimedia content, knowledge extraction and categorization, pattern recognition, indexing and retrieval, searching, browsing and visualization, and modeling and simulation in various domains. Due to the inherent uncertainty and complexity of forensic data, applying those techniques to forensic data is not straightforward. The time is ripe to tailor these results for forensics. Multimedia in forensics is the workshop aims at joining the topics and their communities. 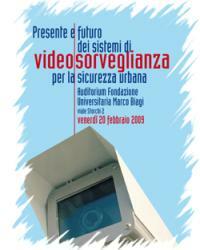 Il Comune di Modena e il Dipartimento di Ingegneria dell'Informazione dell'Università di Modena e Reggio Emilia organizzano il convegno "Presente e Futuro della Videosorveglianza per la sicurezza urbana" il giorno 20 Febbraio 2009 presso la sala della Fondazione Biagi. L'argomento è la videosorveglianza e il trattamento dei dati video sia in tempo reale, per la prevenzione e la salvaguardia del cittadini, sia a posteriori per l'analisi forense e il supporto nelle fasi processuali. 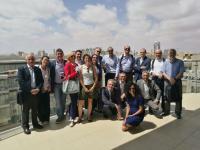 Imagelab organized the 14th International Conference on Image Analysis and Processing (ICIAP2007). Rita Cucchiara was program chair of VSSN 2005, the 3rd ACM International Workshop on Video Surveillance & Sensor Networks in conjunction with ACM Multimedia 2005.